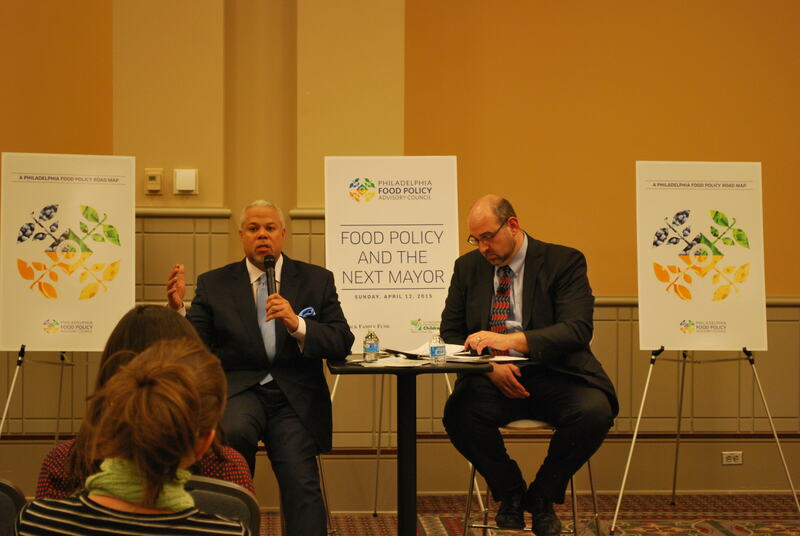 On Sunday, April 12th, FPAC hosted Philadelphia Food Policy and the Next Mayor Forum at the Philly Farm and Food Fest. First of all, thanks to everyone who planned and participated in the informative and productive forum, including FPAC members, mayoral candidates, Forum attendees, and volunteers. FPAC members planned the entire event with support from Drexel University, The Enterprise Center CDC, Fair Food Philadelphia, Federation of Neighborhood Centers, Merck Family Fund, St. Christopher’s Foundation for Children, the Pennsylvania Association for Sustainable Agriculture, and the Philly Farm and Food Fest. While working on the policy platform, members began considering how to share this information with the general public. 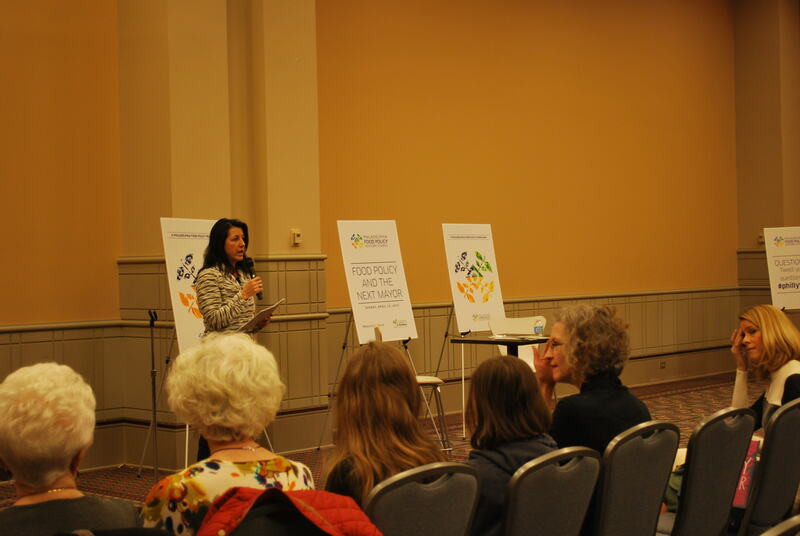 Members decided to host a mayoral candidate forum to raise these issues Philadelphians and the future leadership of Philadelphia in the same room. 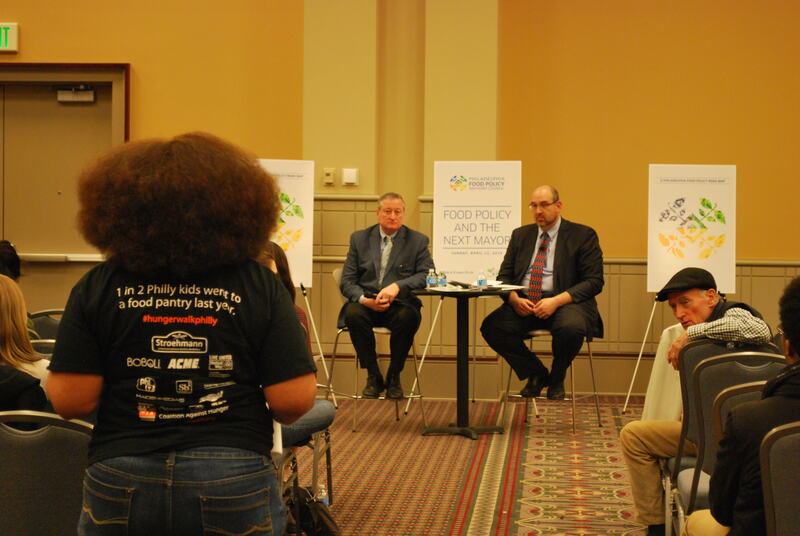 Each of the mayoral candidates had the opportunity to discuss their views on food policy in Philadelphia, and then responded to predetermined questions based on one of the recommendations from the policy platform. 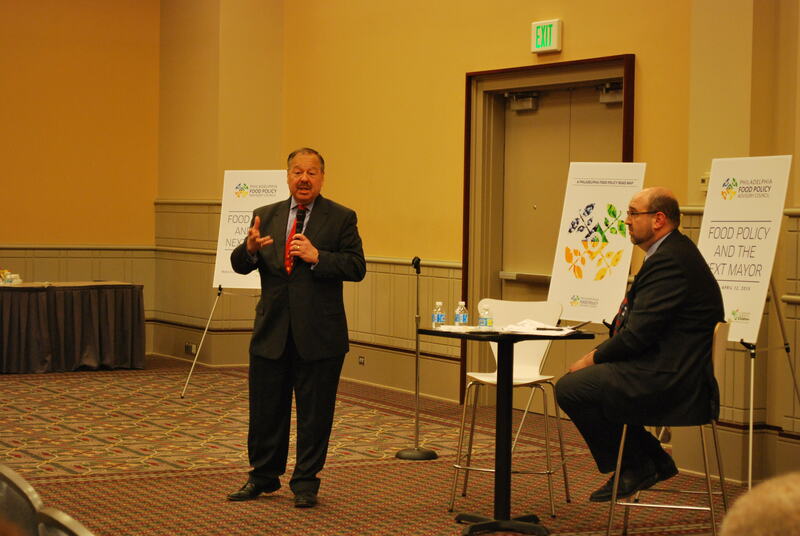 Forum attendees were invited to ask questions via twitter using the hashtag #phillyfpac. 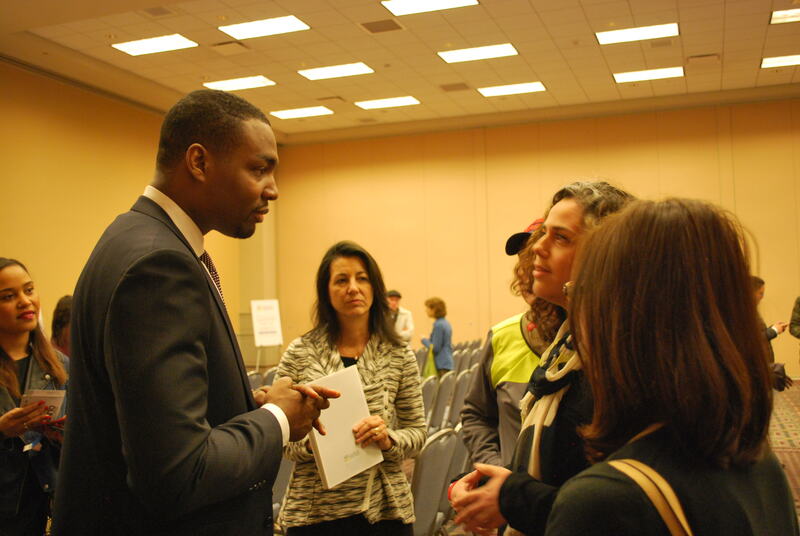 The Forum was a success, hosting six mayoral candidates and As Philadelphia looks ahead to a new administration, food policy is a priority issue that deserves attention because it affects all Philadelphians. FPAC is thrilled that the next administration will support our mission and vision for a healthy Philadelphia food system. 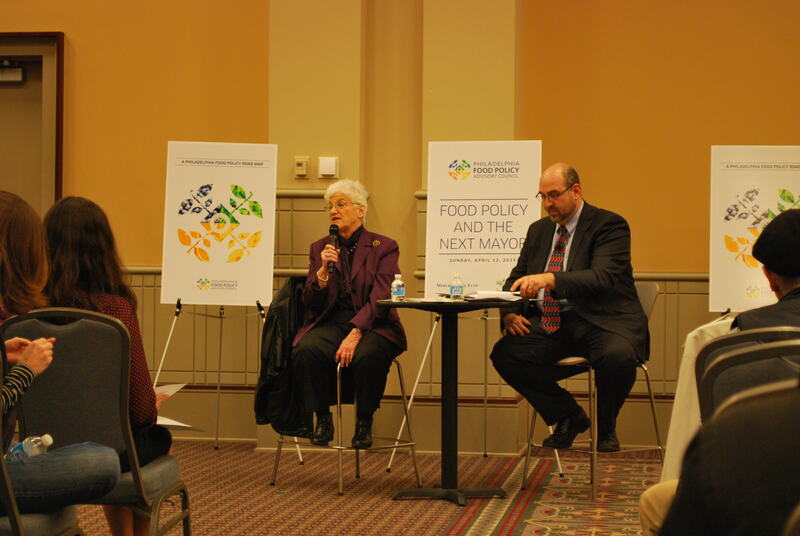 Check out some photos from the Forum below, and the policy platform A Philadelphia Food Policy Road Map. 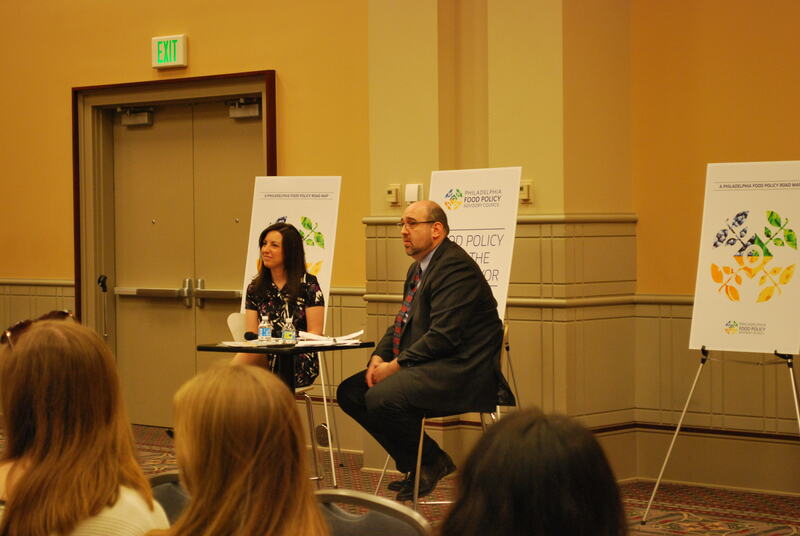 Categories: Anti-Hunger, Communication and Outreach, Governance and Membership, Local Food, Uncategorized, Vacant Land, Zero Waste | Tags: Food Policy, Forum, Philadelphia | Permalink.